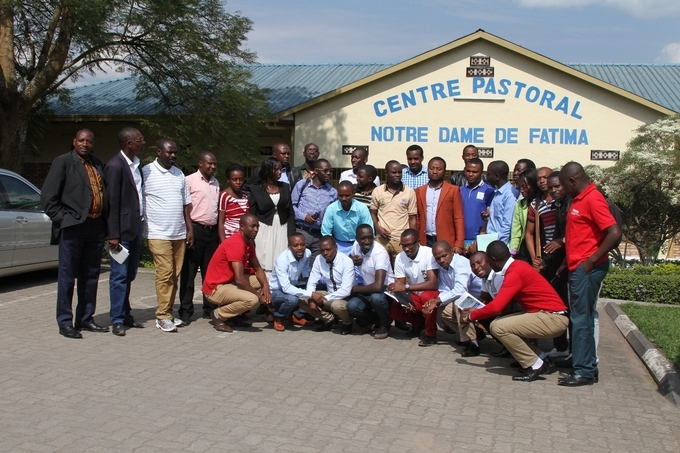 A two days training of teachers coordinators of UNESCO clubs was held at Centre Pastoral Notre Dame de Fatima in Musanze district. 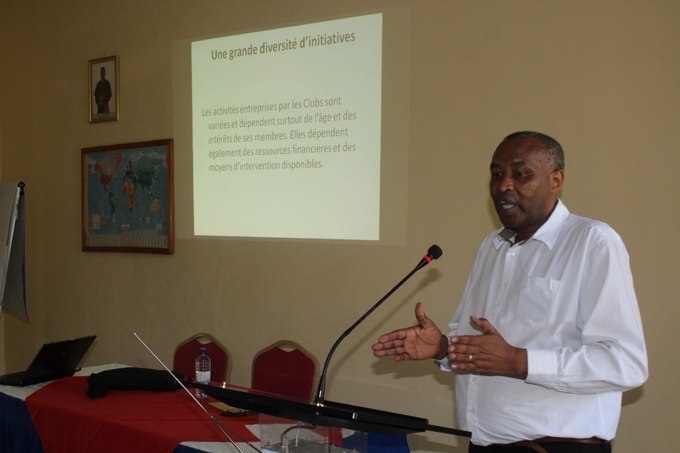 The training was organized by the Rwanda National Commission for UNESCO to enhance their capacities to coordinate the activities of different clubs which propagate values and ideals of UNESCO. In his opening remarks, Mr Kalisa Callixte, the Director of Education, Youth, clubs UNESCO and Associated Schools (ASPNETS), said that the primary purpose of the UNESCO Clubs is to develop understanding and support of UNESCO and its Principles. In his presentation about the Functioning of UNESCO Clubs and their role in the realization of the principles of UNESCO, he reminded the participants that the UNESCO clubs have to be operational in their respective schools. He added that the function of UNESCO Club is based on Training, dissemination of information and action. During her presentation on the role of media clubs in the change of behavior in the area surrounding the school, Philomene Mukankusi explained that Media Club is so important because it focuses on gathering and disseminating information especially UNESCO values and ideals as one functions of UNESCO Clubs. 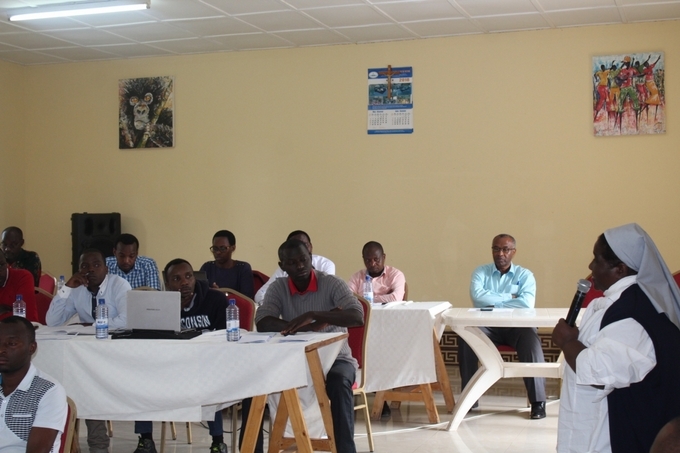 She encouraged the participants to edit and organize the news produced by students in order to avoid any information which can lead to divisionism and tribalism which may become a challenge to the Rwandan community. 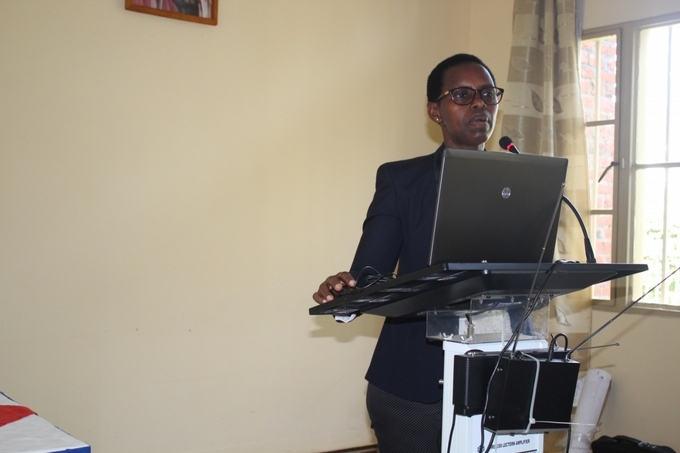 Philomene Mukankusi, Director of Communication and Information at CNRU when presenting her subject. Presenting “The role of extra-curricular activities in general and clubs especially in the growth of the student and discipline at school”, Reverend Sister Hélène Nayituriki, Head teacher of Lycée Notre Dame de Cîteaux said that students have to participate in club activities because it’s a good channel of discovering what can help a student to become a good citizen because the science is not enough in education of a child, but also we should develop his/ her conscience. -Making the workshop outcomes as our own duty. -All Teachers should have a good follow up in different club activities. -The school should invite experts to teach more about the club activities. -School administrators should provide enough time to various clubs and encourage teachers to take an active participation in club activities. -Encouraging and facilitating students to do research based on the promotion of culture of peace and tolerance. -Mobilizing the clubs to be part of the community works and spread out their activities to the Rwandan society. -Establishing new clubs that promote the UNESCO principles. -UNESCO should provide more training to club coordinators and award certificates to trainees. -Making a UNESCO Clubs report at least every term.